Here is a short collection of articles on the hedge fund industry in Russia. I am always looking for more valuable online tools and resources to add to these geographical hedge fund guides. If you have a white paper or PowerPoint that I can include here please send me an email and I will post it for everyone's benefit. A recent article about possible tax evasion case of a hedge fund manager. A leading investment law group bolsters their Moscow-based team. 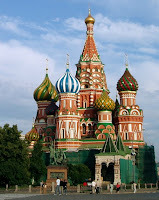 "(Moscow, Russia) – LAWFUEL - Law Firm Newswire - Akin Gump Strauss Hauer & Feld LLP announced today that partner Burke McDavid has returned to the firm’s Moscow office to head the firm’s market-leading Russian investment funds practice. He was most recently based in the firm’s Dallas office." Article titled “Hijacking the Hermitage Fund"